Anyone who has experienced a traumatic event — an assault, accident or warfare, just to name a few — can experience symptoms of PTSD. Read on to find out more about the disorder and how it is treated. 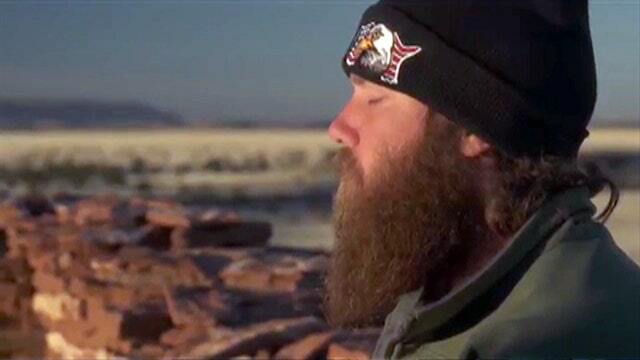 Is PTSD a problem in the U.S.? The National Center for PTSD estimates seven or eight out of every 100 people in the U.S. will develop PTSD at some point in their lives. That means about eight million adults will have PTSD during a given year, the center predicts. More women than men — about 10 percent compared to 4 percent — develop PTSD, according to the National Center for PTSD. The National Center for PTSD lists four specific symptoms of PTSD but contends that symptoms may not be the same for everyone. WILL AN ANTIBIOTIC HELP TREAT PTSD? What’s a common misconception about PTSD? People can often go without treating the condition and instead “suffer in silence” because of a negative stigma attached with mental health conditions, including PTSD, according to Dr. Jeffrey Borenstein, president and CEO of the Brain & Behavior Research Foundation. Borenstein said he classifies it as more of “prejudice” than a “stigma,” however. “But I think we still have a long way to go with that,” he said. The National Center for PTSD lists two main types of treatment: psychotherapy and medication. Psychotherapy is also considered to be counseling or talk therapy. Dr. Elspeth Cameron Ritchie, a forensic psychiatrist who specializes in military and veterans’ issues, told Fox News a treatment that works for one person might not necessarily work for someone else. “It’s a treatable disorder,” she said, adding that she encourages people who experience PTSD to explore their options when it comes to treatments. Borenstein encouraged those who may think they have PTSD or loved ones who think a family member or friend has the disorder to talk to a trusted professional — such as a general practitioner, pastor or a friend or family member who would be able to give guidance. He also suggested people search online for local resources available in one’s community. Is there still a stigma with PTSD when it comes to the military? Ritchie said that the stigma associated with PTSD and seeking mental health has changed over the years — but not necessarily in a linear way. The change has coincided with Americans’ view on soldiers, she said. When Vietnam veterans returned to the U.S., often service members were treated with disrespect or disregard. “Younger veterans are treated in a way that they can have a feeling in the value of self as a soldier,” Ritchie said. But Ritchie said that it can be a challenge for younger veterans, in particular, to get help as “they don’t like talking very much about traumatic events.” For those people, Ritchie recommends alternative forms of therapy, such as exercise or art therapy. And others may worry about seeking mental health treatment while in the military because it “can be pretty humiliating,” she said. “Many are worried about being put out of the military … or losing their security clearance,” she added. But older veterans, particularly Vietnam veterans, are seeking treatment now because an event or anniversary can trigger symptoms. As these veterans age, they could lose their spouse, settle into retirement or have a health issue that could spark PTSD symptoms, Ritchie said. Borenstein said veterans could not want to seek help because of the perception.